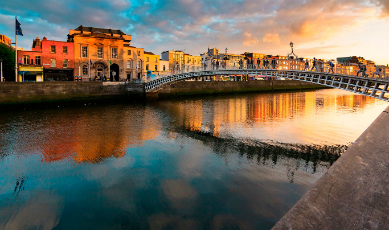 Your trip to Dublin needn’t break the bank! Here’s how to delve deep into city life and unearth some gems that free-spending visitors might miss all together. There are lots of interesting things to see without having to spend a penny. Drop into the National Gallery for fabulous paintings, or take a highlights tour. Fans of contemporary art should drop into the Hugh Lane Gallery, where you’ll find Francis Bacon’s studio carefully recreated. IMMA (the national collection of contemporary art) is a must-see and is housed in the Royal Hospital Kilmainham, set in magnificent grounds that are perfect for wandering around. Meanwhile, the Gallery of Photography, in Temple Bar, is the national centre for the photographer’s art, where you can see the nation through the lens. The Chester Beatty Library holds a fantastic collection of manuscripts, drawings and decorative arts covering about 5,000 years of human history. The Science Gallery, which is part of Trinity College, has some brilliant themed exhibitions that fascinate adults and kids alike. The National Museum of Ireland has three locations in Dublin. There’s archaeology in Kildare Street (Celtic gold, bog bodies, ancient artefacts), decorative art in Collins Barracks (fashion, furniture, ceramics), and natural history on Merrion Square – and all of these attractions are absolutely free. If there’s anything Dubliners love, it’s a market. Check out the Temple Bar Book Market every weekend for new and second-hand books for adults and children. At the Designer Mart at Cow’s Lane every Saturday you’ll find all sorts of Irish-made craft, including hats, jewellery, paintings and photography. If you’re wandering Merrion Square on a Sunday, you’ll find art lining the railings. Browse, chat with the artists (who sell their work directly) and perhaps pick up a unique souvenir at a great price. Twice a month, the Bernard Shaw Flea Market offers vintage and a themed market. Look out for bric a brac, music and crafts, then drop into Eatyard next door for Irish street food inspired by world cooking. Go for a wild swim in the sea at the 40 Foot (get the DART – suburban train – to Sandycove/Glasthule), you can swim there even at low tide, and you’ll meet the locals, the hardiest of whom swim every single day – winter and summer – and are always ready with encouragement and tips. 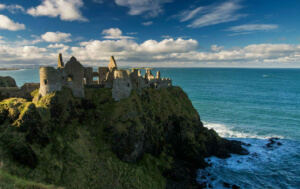 Otherwise, take the DART north and make for Howth for a brilliant walk along the Howth Cliff Path, which gives great views across Dublin Bay and the seals and birds that live in the area. Less strenuous is the Botanic Gardens in Glasnevin, where you can drift among rare plants and visit the fantastically restored Victorian glasshouses. Take advantage of the free entertainment on offer on some of Dublin’s streets – there are lots of buskers, especially on Grafton Street, in this music-minded city. Enjoy traditional music for free at a real Irish pub like the Cobblestone in Smithfield, where talented musicians (including the pub’s owner) play tunes every night. Whelan’s is Dublin’s legendary live music venue, where many massive stars of today started out. Besides bands, there are stand-up comedy nights and music showcases. You have to buy tickets to the actual gigs, but you can also just have a drink and soak up the atmosphere. Classical music lovers on a budget should drop into the Sunday@Noon concerts at the Hugh Lane Gallery, in the beautiful sculpture gallery. They run every weekend from June to September, and are free beyond a suggested donation of €2. Theatre in Ireland is a bargain compared with most other countries. You can get free tickets to the Abbey (the national theatre) when they are previewing a show, but even so, tickets at smaller theatres can be as cheap as €15-€20. There are often free events and festivals too, such as the City Spectacular festival, which features Irish and international street performers, or Heritage Week, when many of the city’s buildings open their doors for events such as story-telling and pop-up exhibitions. Even if you don’t get lucky with a festival, Dublin’s Talking Statues will tell you the stories of 12 Dublin greats, via an app that is free to download to your phone. 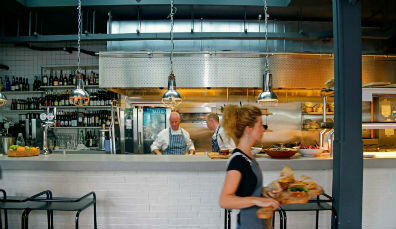 Dinner needn’t break the bank for canny customers. Get an upscale takeaway from the Dublin Pizza Company on Aungier Street (think artisan Irish ingredients turned into Italian delights) and enjoy it in St Stephen’s Green nearby. Or get the DART to Dun Laoghaire and drop into Teddy’s, a piece of Dublin’s history, for a whipped ice cream and a stroll along the sea front. Be flexible on your timetable and you can bag some seriously delicious deals. Look out for specials – 777 for example has Taco Tuesday with two taco dishes for €6, and 777 Sundays with all dishes €7.77. In this city of theatres, the early-bird menu is a fixture and there are plenty to choose from. Some of Dublin’s most interesting and innovative restaurants have a marked-down offering in the early evening, or go for lunch instead and try the fixed menu – just remember to book ahead. When it comes to pubs, for less pricy pints, look beyond the tourist areas. Temple Bar is famous among visitors, but there are some fantastic old pubs nearby that have loyal local regulars because they don’t charge as much. In a city as compact as Dublin, you can see an awful lot just on foot. Try a free walking tour: 11am for Southside, 3pm Northside, from the Spire on O’Connell Street. The tour is officially free but supported by tips, so have some cash handy. 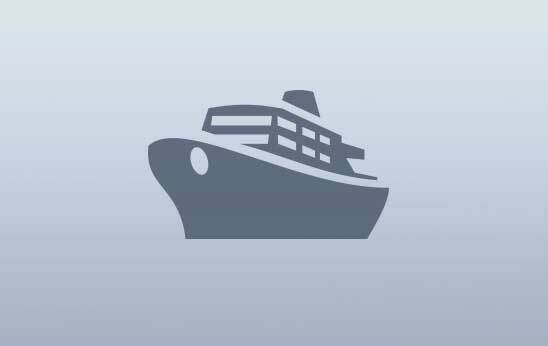 However, to get out to the pretty coastal spots, or if your visit is short and you want to cram as much in as possible, there are lots of ways to travel cheaply. Travel cards such as the Leap Visitor Card offer unlimited travel on bus, DART, Luas and commuter rail for one, three or seven days. The DoDublin Card offers a hop-on-hop-off bus tour that you can take at will, and gives reduced entry to Guinness, Jameson, EPIC and GPO witness history. 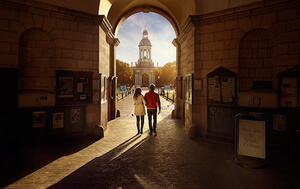 Choose from 24, 48 or 72 hours (with the 72-hour option you can use all Dublin Bus routes, get free entry to the Little Museum of Dublin and take a free walking tour). If you like travelling under your own steam, Dublin Bike Scheme offers a three-day ticket for visitors for €5. Take a bike ride around Phoenix Park (it’s enormous) for example, where on Saturdays you can do a free tour of Áras an Uachtárain, or pedal up to Kilmainham on the southside and go to IMMA. 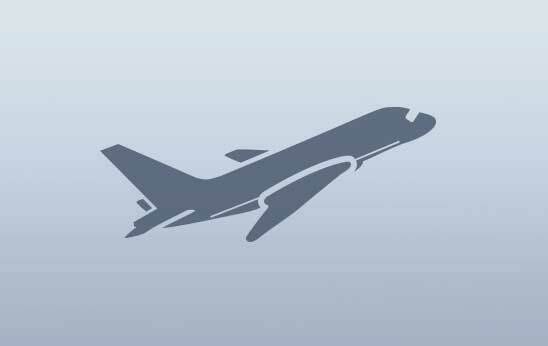 Smart travellers book online. Not only can you beat the queue to attractions at busy times, but online tickets will often save you some money. Guinness Storehouse tickets online, for example, have discounts of up to 30%. Heritage Ireland properties (there are 12 or so in Dublin alone) offer free admission on the first Wednesday of every month. If you buy a Heritage Card, you can access all fee-paying Heritage Ireland properties across Ireland for free for a year (€40 adult, €10 child, €90 for a family – two adults and up to five kids), so you can come back to Ireland again and again to enjoy more of our culture. For a really flexible option, buy a Dublin Pass. You’ll get hop-on-hop-off buses and free access to over 30 of Dublin’s top attractions, as well as deals and offers at restaurants and shops across the city. Choose from one-, two-, three- or five-day passes. There are several hostels in Dublin, but none as hipster as the Generator in Smithfield. You can share a dormitory with others or book a private room; either way, the exposed brick and calm spaces are a cut above the usual hostel experience. Airbnb is a popular option because it offers all sorts of places to suit your taste. Whether it’s a nippy city centre apartment at the heart of the action or a high-ceilinged Georgian gem, there’s something for everyone. 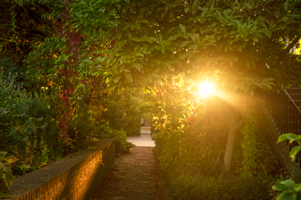 If you’re visiting in the summer holidays, take a look at university accommodation. 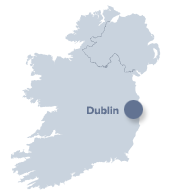 Trinity is right in the city centre; UCD is a great spot for visiting south Dublin, and DCU has rooms in several campuses across north Dublin. Castles, churches and fascinating museums. Here are 9 of our favourite places to check out in the city. Traditional dining, tasty treats and cold and creamy pints. Dublin is a real foodie's paradise! Wake up to a beachside view, breakfast in a country house, or the bustle of the city. Boom Board Tours through Derry~Londonderry with Far and Wild from £40 p.p. 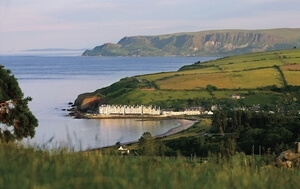 Sweet Treat Springtime with an overnight stay at Ballygally Castle, Co. Antrim from £83 p.p.s. 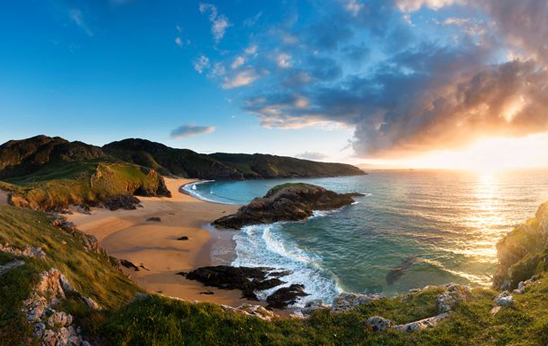 3 night stay at the heart of the Wild Atlantic Way at Newport Hotel in Mayo from €23 p.p.p.n. €250 pps 3 Nights Accommodation with Dinner for two. Only have 12 days? Take to the roads less travelled, and the places well loved.